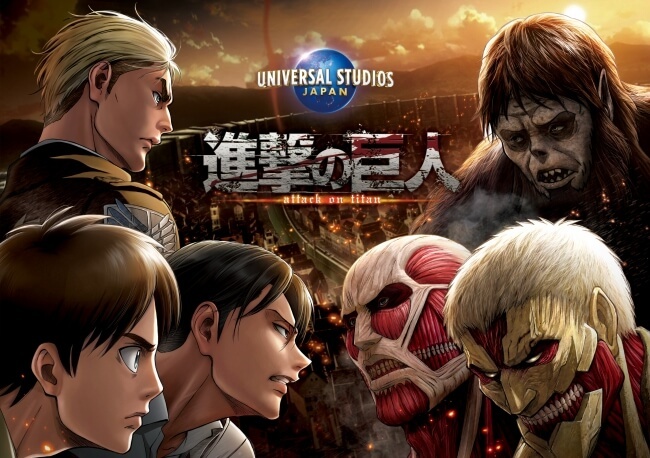 Ever since arriving to Universal Cool Japan in 2015, the Attack on Titan attraction has gained huge support from guests who praise it for being immersive and for its overwhelmingly high quality. The attraction is returning once more this year at the same time as part two of Attack on Titan season three begins this April. A special show will take place in addition to the attraction, both of which are set during the “Operation to Reclaim Wall Maria” of the series. The attraction was made on the kind of grand scale you can only experience at Universal Studios Japan. Immerse yourself in the world of Attack on Titan!